Join Amy on an eye-opening search through an ancient family album and learn the secrets of her past in Family Mystery - The Story of Amy. Orphaned while still in infancy, Amy never got to meet her parents and her grandparents never spoke of their past. But when Amy discovers her grandmother's diary and a book of old photographs, she begins a revealing journey into her family's exciting, amusing, and shocking history. Help Amy flip through the pages of her family album, each one featuring masterfully hand-drawn images with cleverly hidden objects. 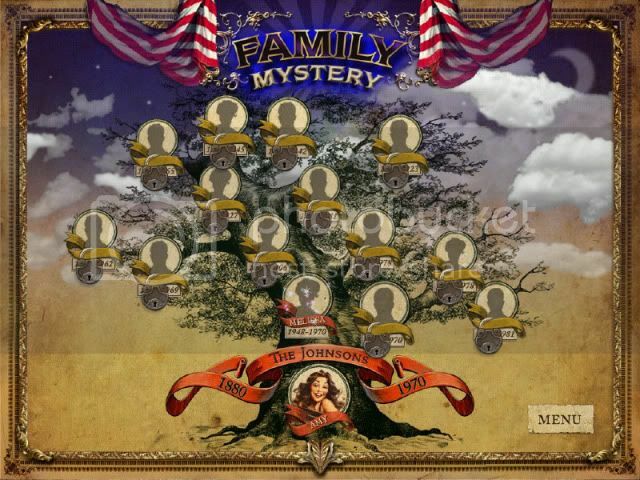 Find the hidden objects to bring the picture to life in stunning color and reveal the stories of 15 of Amy's relatives. Try the free demo version, or download the full unlimited version and enjoy challenging mini-games, a historical, and often humorous, storyline, two great ways to play, and unique gameplay. 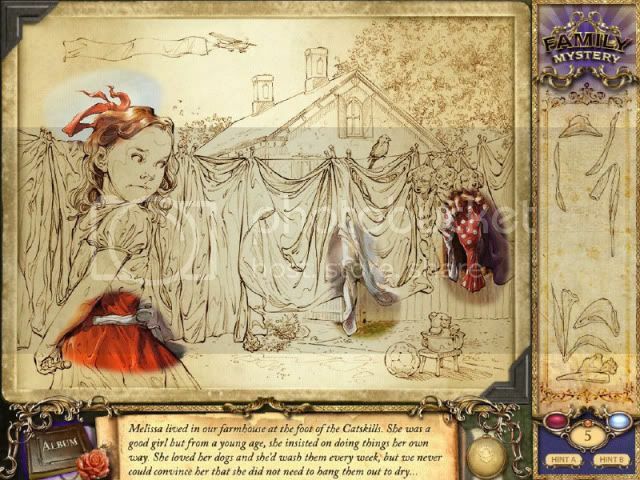 From the creators of the hit Mortimer Beckett series of hidden object games, Family Mystery - The Story of Amy is an engrossing experience that's full of hidden object fun.